While most of the items were things I already had at home, the other small things were found either at The Dollar Tree, Michael’s, or the Target Dollar spot for a steal! I think the white mini cake stand is too cute and the white makes it easy to use year round. The adorable Winter Checklist is something I was so happy to find at an after Christmas sale last year for next to nothing at Kirkland’s. This is the perfect spot for it! I just added a black wooden easel under it for some height and to make it interchangeable. To have fun with it all, I went with a mixture of drinks to choose from. I keep the overflow items in the pantry and re-fill when things get low and need refreshing. 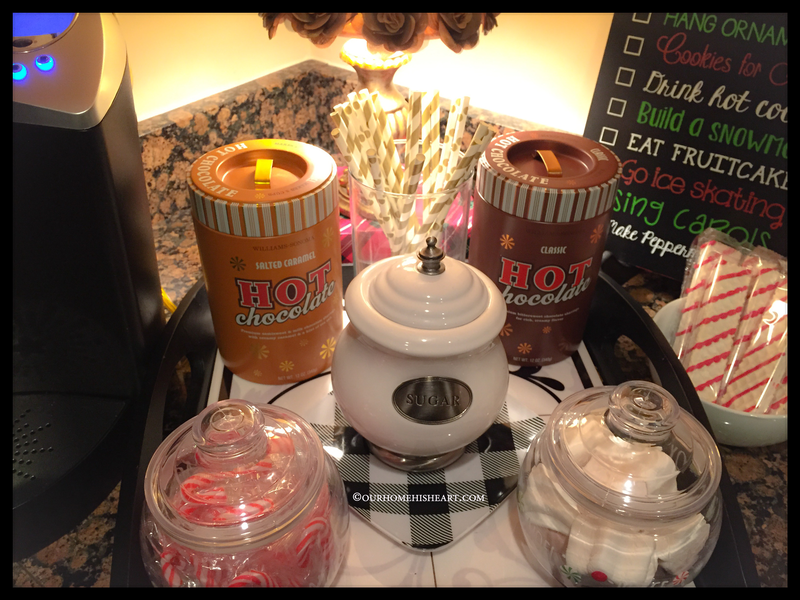 Holiday themed sweet treats in a small bowl are great here for quick grab and go snacking. I will switch these out using little iced gingerbread men cookies and frosted Christmas tree brownies throughout the upcoming weeks 🙂 The gold monogram mugs are some favorites from Christmas time last year. Williams-Sonoma Hot Chocolate is so delicious, makes awesome Christmas gifts, and I love the tins the chocolate shavings come in! The charming little jar labeled “sugar” is part of a trio, gifted to me by my mom a few years ago~I thought it was perfect for this area. 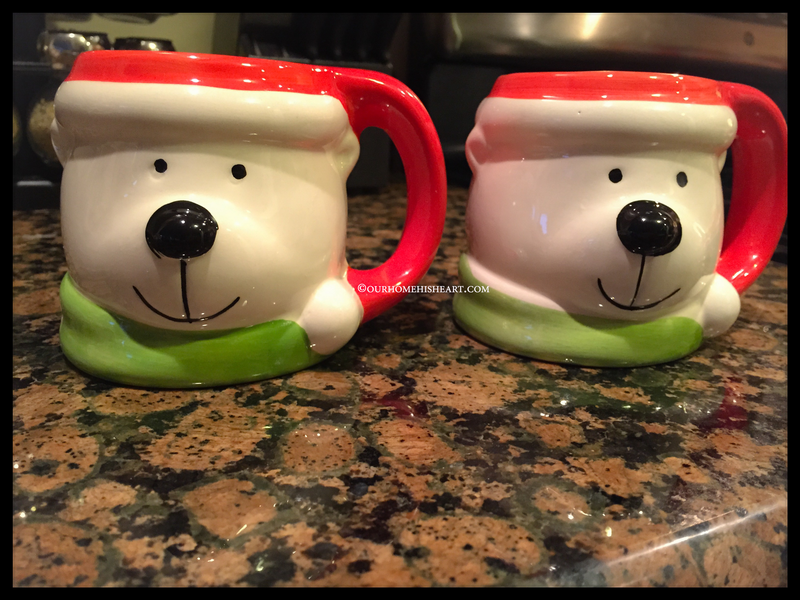 How cute are these little Polar Bear mugs and candy jars from The Dollar Tree!? They really have some great Christmas things this year! I will switch out the monogrammed letter B mugs with these polar bear mugs from time to time. 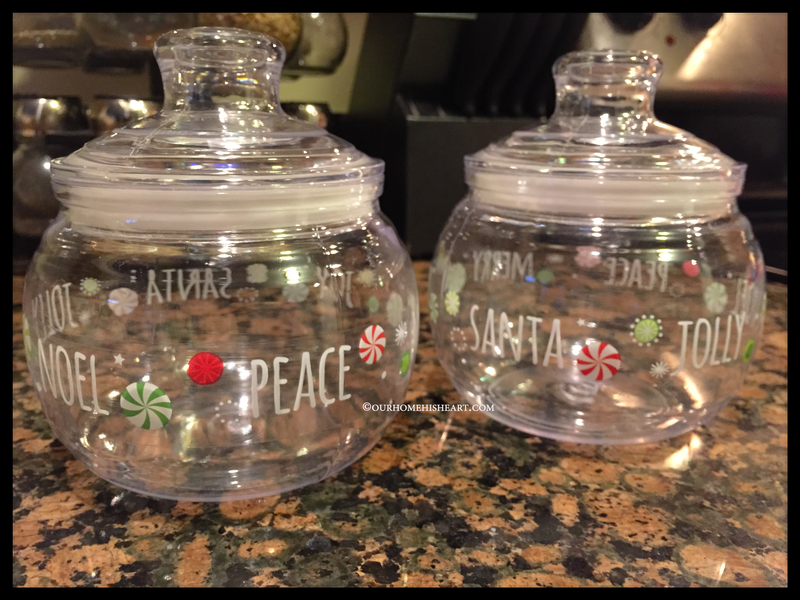 These air-tight containers from The Dollar Tree were just the perfect size for my mini candy canes and fun marshmallows! 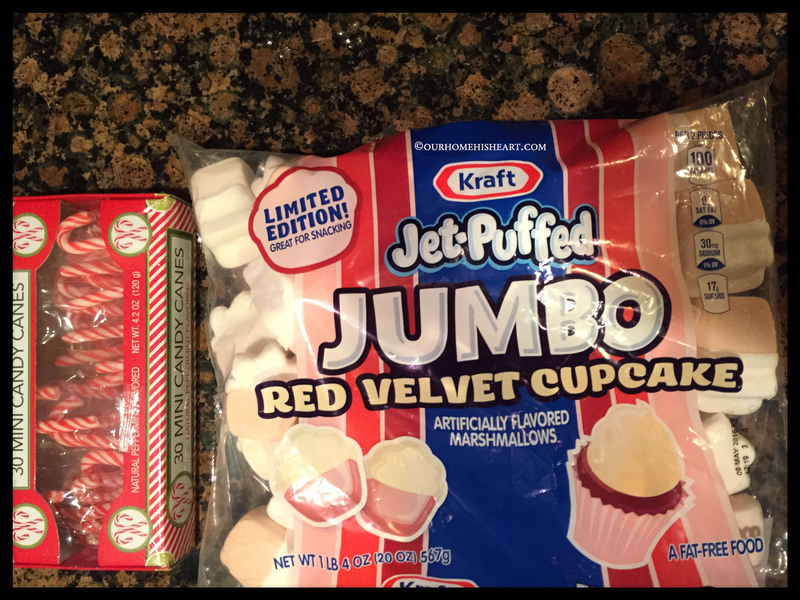 These marshmallows are not only adorable and cupcake shaped, but they are RED VELVET CUPCAKE FLAVORED! Yummy!!! Very simple to do , right? I have really enjoyed getting everything set up a little earlier than I usually do as far as decorating for Christmas goes! 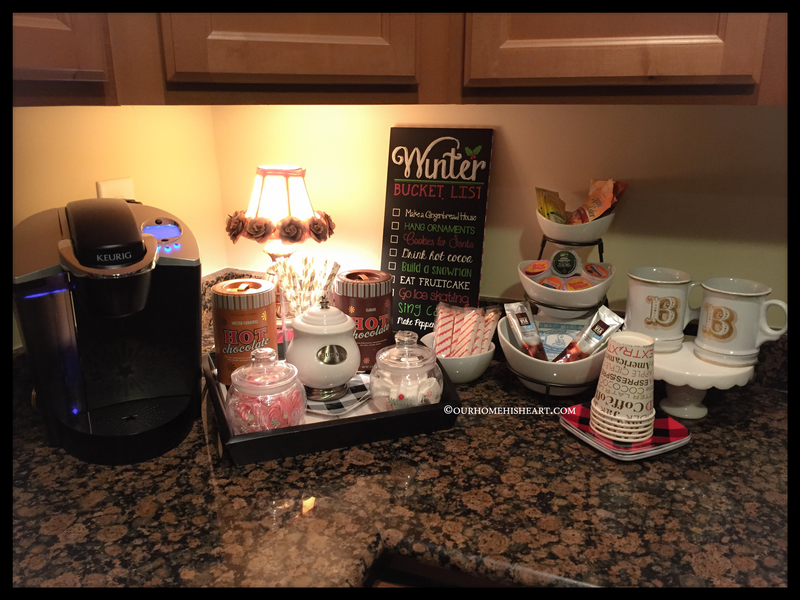 This little DIY holiday drink station is new for me this year, so fun to have around, and really makes the perfect addition to everything else. This will be Jacob’s 1st Christmas and we are looking forward to it for sure! I am thinking I will try to keep the drink station set up all year round and just change out themed items and drink types and flavors with each season that comes. I would love to know: what items do you add to your DIY holiday drink station? 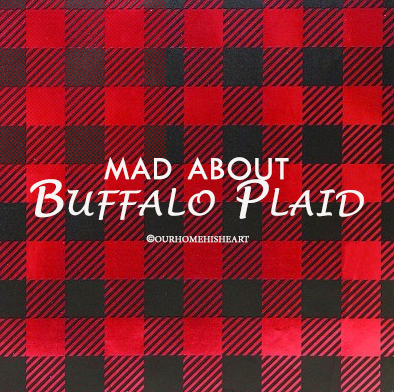 Ahh, buffalo plaid: its everywhere and I’m LOVING it! 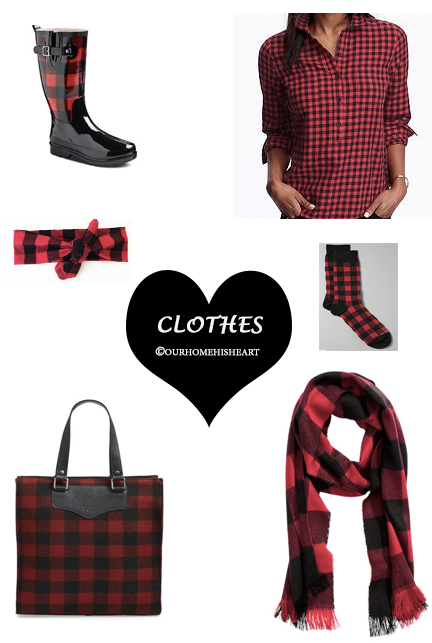 My favorite is the red and black buffalo check (buffalo plaid) combo. This bold and classic print can be found on so many items from clothing, accessories, makeup bags, rain boots, slip on sneakers, umbrellas, serve ware, drink ware, home decor items, pet accessories, bedding, and more! 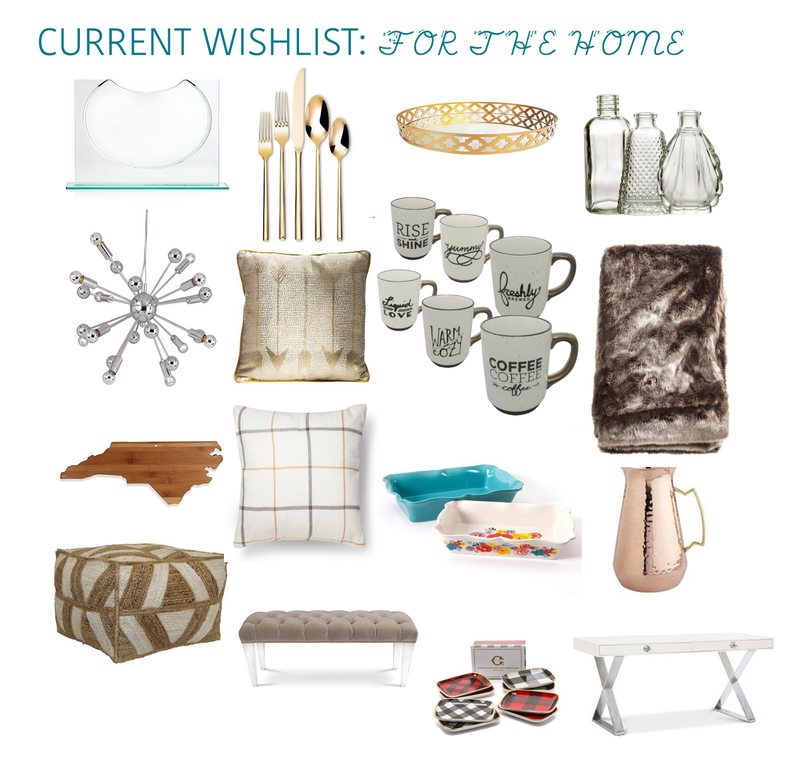 I’ve gathered a few of my favorite and most affordable things that come in this adorable print just in time for the holidays! I really love the idea of using plaid when decorating for Christmas. 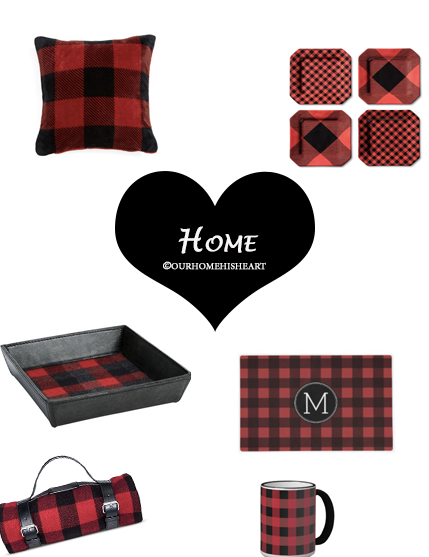 Yes, plaid in different colors can easily be incorporated in home decor all year round, but there’s something so warm, welcoming, and oh-so cozy about adding it during the holidays! It adds a fun and cheerful twist to any room and even to any outfit. 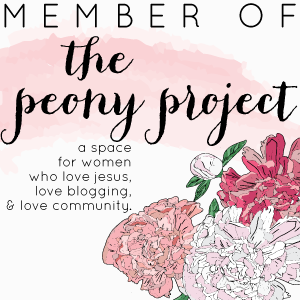 Most of these things will also make awesome Christmas gifts as well! The categories are listed below – Just click the item name for where to buy. Enjoy! 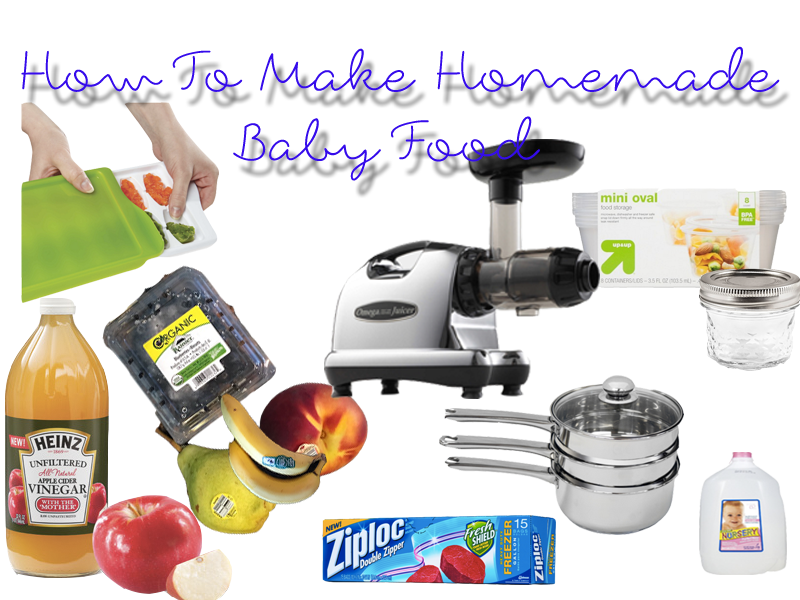 Today is all about making easy homemade baby food! I have had the best time making baby food for Jacob! He thinks the food is pretty tasty and I enjoy the whole process of making it for him, coming up with my own recipes for him, following fun recipes I find, and also I like knowing what exactly goes into his food and into his system.Introducing one new food at a time every 3-4 days and keeping a notebook of what has and what has not been introduced is very helpful in the beginning. Once you have individual foods that have been safely introduced, it’s great to begin mixing the approved individual foods together and having some fun with variety of foods and textures. The notebook also includes information on whether or not he liked or did not like certain foods on their own, and also what happened with different combinations given. I find the notes and photos taken of him trying each food for the first time to be a good little keepsake as well. 1. This unique vase from Z Gallerie has been on my list for quite some time. I love how it adds interest and would look stunning with fresh flowers in it. 2. This gold flatware set looks so chic and it is perfect for my home because I enjoy the look of mixed metals. 3. This tray is very glam and I would like to use it in my Butler’s Pantry area to display some pretty gold-etched glasses. I like the mixture of metal and glass on this one. 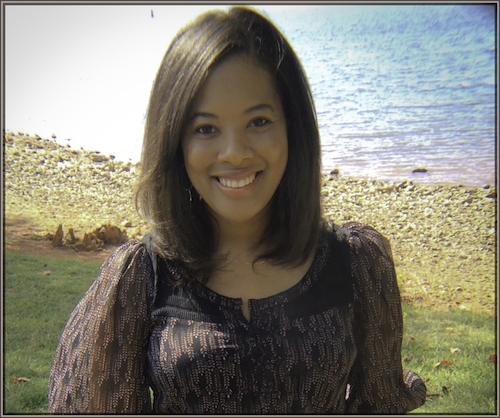 It makes a very nice contrast with the difference in materials used.